We often wonder how the little village of Cotignac so effortlessly manages to capture people’s hearts. 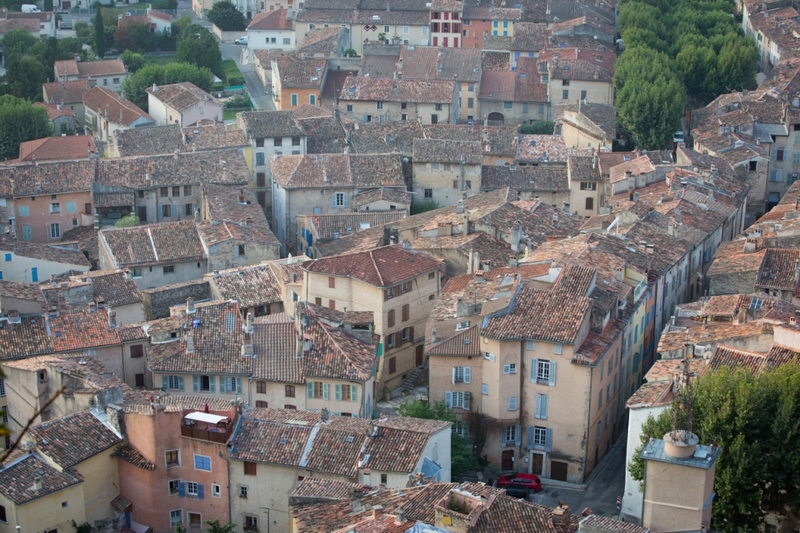 We came to this hamlet in the “Haut Var” just over 6 years ago, after a chaotic and frustrating property search around Aix-en-Provence that left us feeling shaky about our decision to move to Provence. Tom Bové, former owner of Chateau Miraval, and an acquaintance of Stephen’s had suggested we try moving here to sample real life in Provence and to wean ourselves off the easy transition with international schools and large expat communities. After some inter-marital argument and strife we decided to give it a go, on the basis that we could always leave for the safety of a bigger town if it wasn’t for us in the long term. I vividly remember arriving and walking through the village for the first time, feeling so obviously like an outsider, ashamed of my average French. We plonked ourselves down in the Restaurant du Cours and had a pretty good meal and watched the world go by under the platane trees. I don’t notice it anymore of course, but I used to look at the varied rustic facades, faded shutters, noisy fountains and the huge cliff overhanging the village square feeling like I was in some sort of theatre production. It looked like an excellent replica of what Provence was meant to be like, only this one was for real. Gradually we got to know people and took our place in what is, at least by small French village standards, a pretty vibrant and bustling location. Historically Cotignac has been an industrious town; though the silk industry that dominated its activity has long since withered and Cotignac was subsequently plunged into a more impoverished period where sources of income were largely agricultural, notably olive oil and some wine. In the 60s and 70s the village became known as the “little St Tropez”, popular with French showbiz stars and politicians who appreciated it’s natural beauty and more tranquil lifestyle as a break from the busy Cote d’Azur. But it has always had international appeal and Eric Idle is a long standing resident who has also attracted other famous faces like David Bowie, Roger Waters and Robin Williams to visit and spend some time here. Cotignac has always been an interesting hotchpotch of nationalities with people who have stories to tell and different lives to lead. The town folk are tolerant of newcomers and as long as you make an effort to speak a minimum of franglais you will soon be integrated into conversations over rosés and pastis, play boule with the local boule club and walk up the high street with people dressed up as quinces for the town’s Quince festival. 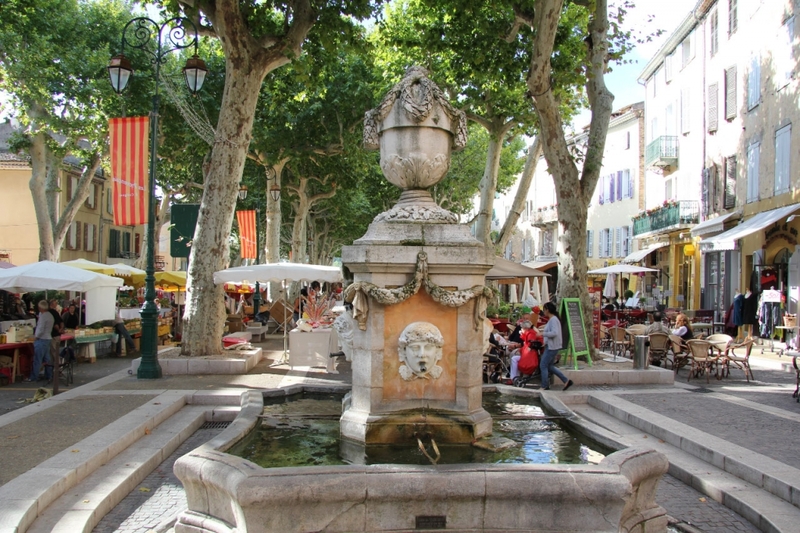 Cotignac has a rare and interesting chemistry, good cultural events and most importantly a large pedestrianised town square where people meet, talk and enjoy the outdoors lifestyle. It’s been a great place for us Cronks to live, our kids could grow up in the unspoilt landscapes of this part of Provence, with the great nature reserve of the Verdon just above us and the beaches of the Cote d’Azur just below. The children are safe and know their way around the village, where they are familiar with most people and get a friendly bisou and a quick chat. In so many ways it couldn’t have been more different to what we were used to in South West London, yet we have never been busier socially with the constant comings and goings of friendly second home owners, a lovely bunch of proper locals who live and work here and a newer group of expats who have come here to live but still pursue a full-on career with the help of new technology and airport proximity. I always like to think that Cotignac found us, rather than the other way round, as so many unlikely coincidences led to us settling here, there seemed to be a certain element of fate built in. Luckily many others with far more meticulous planning and research have ended up in the same place. What we all have in common is that we couldn’t really imagine waking up anywhere else.